It is a great pleasure for me to come to the Adlai Stevenson Center at the invitation of former Senator Stevenson. I would like to take this opportunity to share with you some thoughts on China-US relationship and China’s development. As the largest developing country and developed country and the two largest economies in the world, China and the US share special responsibilities and wide common interests on upholding world peace and stability and propelling global development and prosperity. China and the US account for one third of the world GDP, one fourth of the world’s population and one fifth of world trade volume. A sound and steady China-US relationship is extremely important for promoting world economic growth, addressing global challenges, regional conflicts and hot-spot issues. First, strengthen mutual understanding and trust of the two heads of state. President Xi Jinping and President Donald Trump shared governance theory and introduced to each other their respective ongoing priority agendas, which deepens mutual understanding and establishes good working relationship. President Xi Jinping introduced Chinese history, conditions and the achievements from reform and opening-up to President Donald Trump. He noted that China firmly follows the peaceful development path and rejects the theory of I-win-you-lose and the beaten path of power leading to hegemony. Instead, China devotes itself into promoting global peace, stability and prosperity. Donald Trump said that China owns a great and amazing civilization. President Xi Jinping led China to make many achievements, which wins respects of the world. He had a pleasant time with President Xi Jinping and established extraordinary friendship with him. He is willing to continually cooperate with President Xi Jinping. President Donald Trump accepted President Xi Jinping's invitation for a state visit to China later this year. Both leaders have agreed to keep close contacts through meetings, calls and letters. The deeper the two leaders communicate with each other, the bigger role they could play in guiding China-US relations, the closer and more resilient the bilateral relationship will be, and the more positive expectations the international community will have on China-US relations. 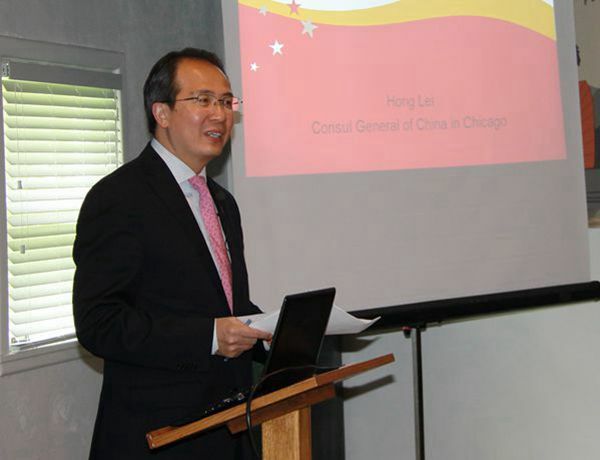 Second, recalibrate the development direction and principles of China-US relations. Both leaders highly applauded the historic progress of China-US relations and agreed to promote greater development on a new starting point so as to bring more benefits to people of both countries and the whole world. President Xi Jinping reiterated that cooperation is the only right choice for China and the US and that both countries are capable of becoming good partners. He pointed that we have a thousand reasons to make China-US relations a success and not a single reason to make bilateral relations a failure. Both sides should focus on the fruits of cooperation and make a checklist of key cooperation areas so as to generate more early harvests. President Xi Jinping stressed that it is natural for China and the US to have divergences and the key is to properly deal with sensitive issues and control divergences constructively. President Xi Jinping's proposals are full of global views, long perspectives and political wisdom, which win positive response from the US. Both sides agreed to expand mutually beneficial cooperation fields through joint efforts and control divergences on the basis of mutual respect. President Donald Trump noted that the US stands ready to cooperate with China to eliminate those factors and problems affecting bilateral relations, which will help realize greater development of US-China relations. Bilateral relations will certainly be better. Third, lay out priority fields and mechanisms of bilateral cooperation. China and the US agreed to promote healthy development of two-way investment and trade as well as advance two-way investment agreement negotiations. They also agreed to explore practical cooperation in many fields including energy and infrastructure. China explained the essence of bilateral mutually beneficial and win-win investment and trade. President Xi reiterated that China does not seek trade surplus on purpose, and hoped that the US can ease its restrictions on Chinese exports so as to further balance bilateral trade. Mutual trust in military and security is the foundation of China-US strategic mutual trust. Both sides stand ready to strengthen communication on bilateral militaries and will make full use of the upcoming platform of joint staff dialogue mechanism. Both sides are willing to deepen cooperation in many fields as law enforcement, legislation and cyber security. If people of both countries enjoy closer relationship, both countries can have a much better relationship. Both sides are willing to expand people-to-people and cultural exchanges so as to enhance the foundation of bilateral relations. The two heads of state have announced the establishment of four high-level dialogue mechanisms including diplomatic and security dialogue, comprehensive economic dialogue, law enforcement and cyber security dialogue, and people-to-people and cultural dialogue. These four high-level dialogue mechanisms are an important achievement from the Mar-a-Lago meeting. During the meeting, the two sides initiated the diplomatic and security dialogue and comprehensive economic dialogue, conducting in-depth exchanges, setting a work agenda and charting the course. The two heads of state are satisfied with the launching and initial success of these important mechanisms. The regular dialogue and cooperation mechanisms between China and the US are important pillars of the bilateral relations. They will play an important and positive role in advancing communication, enhancing mutual trust, expanding cooperation and controlling differences between the two sides. Fourth, strengthen communication and coordination on international and regional affairs. Both China and the US are the permanent members of the UN Security Council. As the world's top two economies, both countries shoulder a special and important responsibility to safeguard world peace and stability and promote global development and prosperity. During the meeting, the two heads of state exchanged in-depth views on international and regional issues of common concern such as the Korean Peninsula nuclear issue and agreed to expand cooperation at regional and global level to contribute to the maintenance of regional and world peace, stability and prosperity. President Xi Jinping pointed out that China and the US should and could cooperate in many areas with regard to both global and regional affairs. Strengthening bilateral communication and cooperation is not only in the interests of our two countries, but also beneficial to the world. President Donald Trump said that, as two major world powers with tremendous responsibilities, the US and China need to maintain communication and coordination on important issues to do great things. The sound interaction between China and the US on international and regional affairs received positive responses from the international community. As two major powers with global influence, China and US maintaining a sound and steady relationship is not only in the interests of the two peoples, but also meets the common expectation of the international community. For China and the US, the complementarity of their economies far outweigh competition, and the need to cooperate outstrip differences. This has been fully demonstrated in the past 38 years since China and the US established diplomatic ties. China has become the world’s second largest economy thanks to 38 years of reform and opening-up. A right path leads to a bright future. China has come this far because the Chinese people have, under the leadership of the Communist Party of China, blazed a development path that suits China’s actual conditions. In the past 30-odd years, China has achieved rapid economic growth, enhanced national strength, and led the Chinese people from poverty to moderate prosperity. China’s social and economic development have made unprecedented progress. China’s development is an opportunity for the world; China has not only benefited from economic globalization but also contributed to it. Rapid growth in China has been a sustained, powerful engine for global economic stability and expansion. The inter-connected development of China and a large number of other countries has made the world economy more balanced. China’s remarkable achievement in poverty reduction has contributed to more inclusive global growth. And China’s continuous progress in reform and opening-up has lent much momentum to an open world economy. What role will a growing China play in the world? China has made a strategic choice of making greater contribution to world peace, prosperity and stability. While the world economy is currently experiencing modest recovery, it still faces challenges and the downside risks remain. The growth of global trade and investment remains tempered, and the rules-based multilateral trading regime is yet to be strengthened. All countries, especially developing ones, still face common challenges of eradicating poverty, promoting inclusive and sustained economic growth, and achieving sustainable development. In order to create opportunities out of challenges and reforms, in 2013, President Xi Jinping put forward the initiative to build the Silk Road Economic Belt and the 21st Century Maritime Silk Road. As an important international initiative, the Belt and Road has offered opportunities for all countries to deepen cooperation and will bring more benefits to all. On top of that, China is ready to offer more public goods to the world as its development is not possible without the international community. The Belt and Road initiative aims to share China’s development opportunities with countries along the belt and road and achieve common prosperity. In the past 4 years, more than 100 countries and international organizations have endorsed and joined the Belt and Road initiative, resolutions by the UN General Assembly and the UN Security Council have also incorporated the building of the Belt and Road. Following the Silk Road Spirit of peace and cooperation, openness and inclusiveness, mutual learning and mutual benefit, we have translated the Belt and Road initiative from idea to actions and from vision to reality, and have yielded fruitful results in the following aspects. First, these four years have seen deepened policy connectivity. We have enhanced coordination on the policy initiatives of relevant countries, such as the Eurasian Economic Union of Russia, the Master Plan on ASEAN Connectivity, the Bright Road initiative of Kazakhstan, the Middle Corridor initiative of Turkey, the Development Road initiative of Mongolia, the Two Corridors, One Economic Circle initiative of Viet Nam, the Northern Powerhouse initiative of the UK and the Amber Road initiative of Poland. China has signed cooperation agreements with over 40 countries and international organizations and carried out framework cooperation on production capacity with more than 30 countries. Second, these four years have seen enhanced infrastructure connectivity. We have accelerated the building of Jakarta-Bandung high-speed railway, China-Laos railway, Addis Ababa-Djibouti railway and Hungary-Serbia railway, and upgraded Pakistan’s Gwadar port and Greece’s Piraeus port in cooperation with relevant countries. A large number of connectivity projects are also in the pipeline. Third, these four years have seen increased trade and investment connectivity. China has worked with other countries involved in the Belt and Road Initiative to promote trade and investment facilitation and improve business environment. The fact is that for Kazakhstan and other Central Asian countries alone, customs clearance time for agricultural produce exporting to China is cut by 90%. Total trade between China and other Belt and Road countries in 2014-2016 has exceeded US$3 trillion, and China's investment in these countries has surpassed US$50 billion. Chinese companies have set up 56 economic cooperation zones in over 20 countries, generating some US$1.1 billion of tax revenue and 180,000 jobs for them. Fourth,these four years have seen expanded financial connectivity. China has engaged in multiple forms of financial cooperation with countries and organizations involved in the Belt and Road Initiative. The Asian Infrastructure Investment Bank has provided US$1.7 billion of loans for 9 projects in Belt and Road participating countries. The Silk Road Fund has made US$4 billion of investment, and the 16+1 financial holding company between China and Central and Eastern European countries has been inaugurated. Fifth, these four years have seen strengthened people-to-people connectivity. Every year, the Chinese government provides 10,000 government scholarships to the relevant countries. China's local governments have also set up special Silk Road scholarships to encourage international cultural and educational exchanges. Projects of people-to-people cooperation such as Silk Road culture year, tourism year, art festival, film and TV project, seminar and think tank dialogue are flourishing. These interactions have brought our people increasingly closer. First, we are committed to promoting international cooperation on Belt and Road and jointly addressing global economic challenges. All parties speak highly of the progress so far, and believe that Belt and Road initiative is significant in terms of discovering new growth points, enhancing indigenous driving force for development and promoting global economic growth under the current circumstances, and will make the world economy more inclusive and beneficial to all. Second, we support strengthened synergy and coordination of economic policies among different countries. We agree to enhance policy coordination on economy, finance, trade and investment and create a favorable environment. We support building an open global economy and free trade zones, promoting trade and investment liberalization and facilitation. We look forward to forging greater synergy and complementarity of development strategies of various countries and cooperation plans by international and regional organizations. Third, we hope to translate consensus into actions and achieve new progress through practical cooperation. The Belt and Road international cooperation will continue to focus on connectivity and carry out major projects in highway, railway, port, aviation, pipelines, electricity and telecom network. We will continue to build economic corridors and industrial cooperation parks, enhance international cooperation on industrial capacity and manufacturing and facilitate development of real economy. We support opening up the financial market to each other, and build a financial security system that is stable, sustainable and resilient. Fourth, we look forward to building bridges among different peoples and bringing a better life for them. We are willing to strengthen exchanges on education, technology, culture, health, tourism and sports, and build more platforms and channels of cooperation. Fifth, we believe that the Belt and Road is an open and inclusive platform, and all countries are equal participators, contributors and beneficiaries. We will hold an open mind following the principle of wide consultation, joint contribution and mutual benefits, and pursue cooperation and win-win results based on mutual respect, wide coordination and joint decision-making. President Xi Jinping announced that China will hold the second Belt and Road Forum on International Cooperation in 2019. This Forum, by reviewing the outcomes achieved by the Belt and Road cooperation and pooling together consensus, has pointed out the direction, charted the course, clarified action plan for the Belt and Road International Cooperation. It is a successful, glamorous, and pragmatic meeting with fruitful achievements. This forum sent forth a strong signal that calls on all parties to forge cooperation platforms, seek momentum for world economic growth, and prop up confidence for the development of the economic globalization. We believe that this Forum will have profound and far-reaching influence. Before concluding my speech, I would like to say a few words about the DPRK nuclear issue which has been under the spotlight recently. China has a quite firm position that regardless of whatever happens, China is committed to the stated goal of denuclearization and resolving the issue through dialogues and negotiations.Recently, China has put forward the "suspension-for-suspension" proposal according to the development of the situation on the Korean Peninsula after the proposal of "dual-track" mechanism which is intended to advance and achieve two tracks of the denuclearization as well as building peace mechanism in the Korean Peninsula according to the principles of synchronization, reciprocity and accommodation. The "suspension-for-suspension" proposal is to propel the two sides on the Korean Peninsula issue back into negotiation table through the suspension of DPRK's nuclear missiles tests and the joint military exercises of the US and the Republic of Korea (ROK), so as to start the first step of the "dual-track" mechanism. The schemes China brings up combine the short-term goal with the long-term goal and complement one another. They not only focus on solving the most pressing concerns of all sides, but also pave the road for the denuclearization. Despite the vicissitude in international landscape, the huge common interests between China and the US and the opportunities they bring to each remain unchanged. The two sides should earnestly implement the consensus reached by the two heads of state, follow the principle of non-confrontation, non-conflict, mutual respect and win-win cooperation, enhance communication and cooperation, and move forward China-US relations at a new starting point and benefit the two peoples and the world.